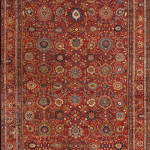 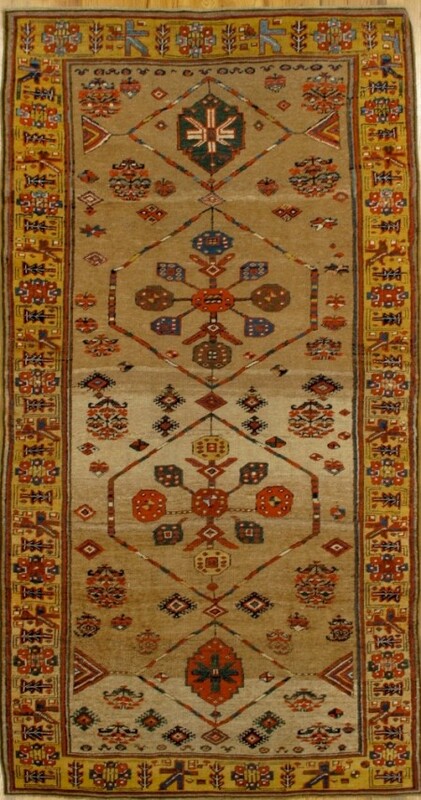 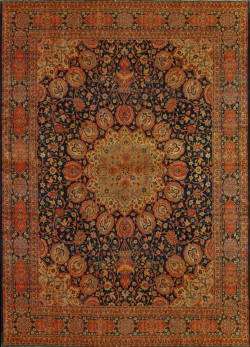 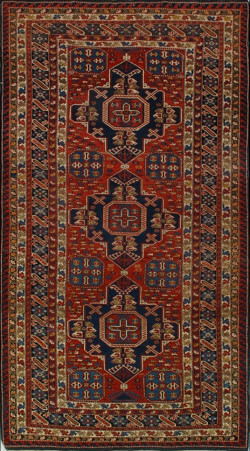 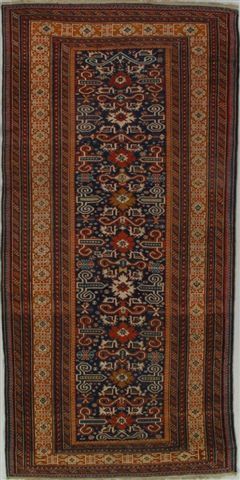 Shirvan Rug-110801 The pattern of this attractive red ground Shirvan-three pointed and stepped medallions-appears in flat woven soumac rugs from the same area. 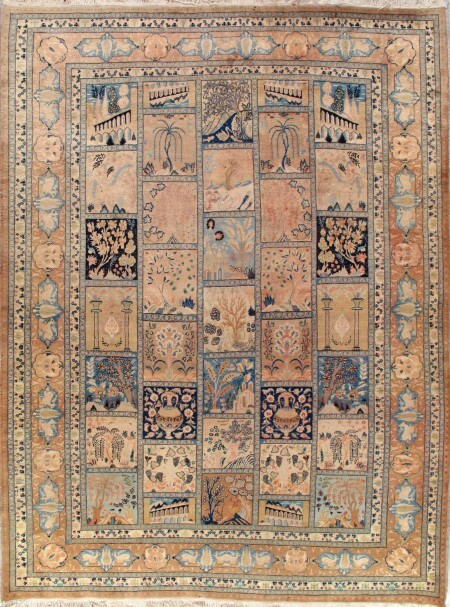 Blue octagons and colorful leaves fill the surrounding spaces. 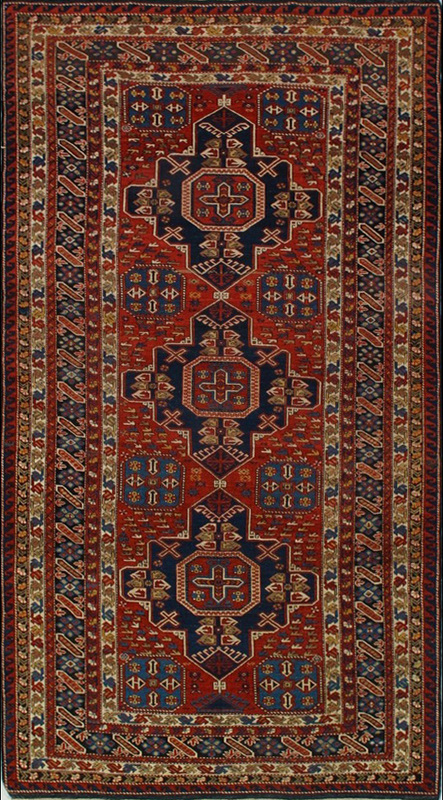 The border, black with rosettes and slanting bars, is in a Caucasian Chi-Chi pattern.